We are enjoying the Presidents' Day school break, which lasts an entire week in our school district. I am pretty confident I know what my daughter is going to be doing for most of the break. She will be reading, and in this post I want to share some of her recent favorites with other parents of voracious elementary school readers. We bring about two dozens books from the library on each trip, and they last about a week. When Smarty wakes up in the morning, her usual first move is to stick her nose in the book. 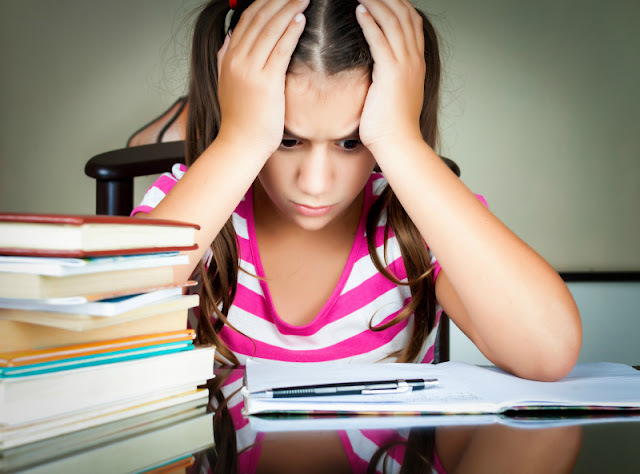 We have sometimes to take books away to ensure that our child stays on task. She reads when she is tired, when she is upset, and when she "needs a break". She is occasionally reprimanded in school for reading under her desk when she is supposed to be doing something else. She loves long books and not intimidated at all by the size of the books. In fact, long books have an enticing promise of spending a few hours with them. She reads widely, both fiction and non-fiction, but her favorite genre is fantasy. By all means, get them a Kindle and check your library electronic lending program! This has been a major godsend to us, not only because books don't end up mysteriously "misplaced" resulting in library fees, but also because we can borrow books 24x7 and easily take them on trips. We buy as many books as ever (and maybe even more), but all our recent purchases, except gorgeous non-fiction books that rely heavily on pictures, were in Kindle format. An extra bonus of having a Kindle book is that all three of us can read it at the same time (yes, we all have Kindles). In the end of 2013, I wrote about book recommendations for advanced readers. Smarty was 7 then, reading on the level of 11th grade. Then, when she was almost 8, I wrote about her favorite book series featuring gifted children (yes, Harry Potter and Percy Jackson series made that list). Now I want to share some of her recent favorites when she is 9. 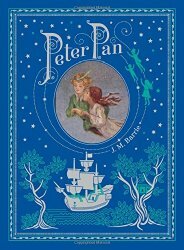 If you have a Kindle, check out free classic books including some well known classic children's books. The challenge with these books is that sometimes free Kindle versions are not edited or abridged and have a lot of archaic words, but Smarty really enjoyed some of free Kindle books and some that we purchased including Little Women by Louisa May Alcott, Little House series by Laura Ingalls Wilder, and Peter Pan by J.M. Barrie. 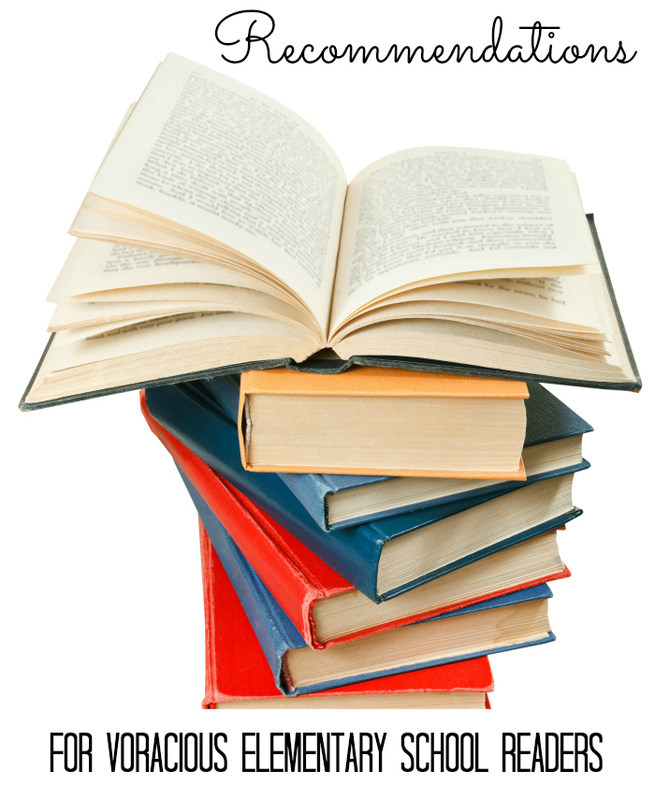 The Newbery Award was the first children's book award in the world. Its terms, as well as its long history, continue to make it the best known and most discussed children's book award in this country. Simply put, Newbery books are good books! I am following Newbery award list and regularly sneaking Newbery books into Smarty's library choices. 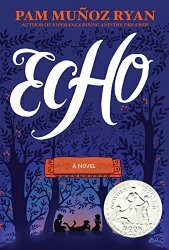 Some of Smarty's recent favorites in this category include Echo by Pam Munoz Ryan, When You Reach Me by Rebecca Stead, and The Westing Game by Ellen Raskin. Smarty's favorite genre is fantasy. 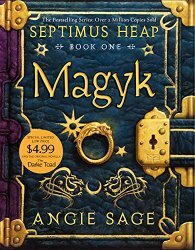 Her most favorite fantasy series of late was Septimus Heap by Angie Sage, and its sequel TodHunter Moon, but she also enjoyed Artemis Fowl series by Eoin Colfer and Ender's Game by Otton Scott Card. 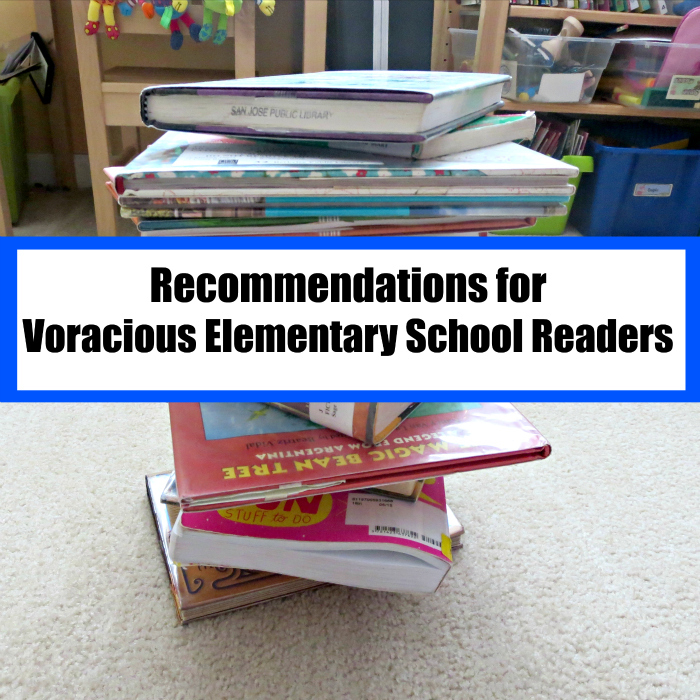 Do you have voracious readers? What kind of books do they enjoy? More Book Recommendations for Kids? 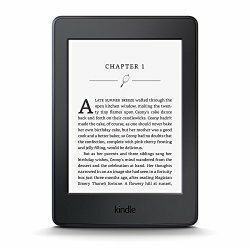 I didn't know about that free classic Kindle list - thanks for the tip! Has she read the Wizard of Oz series or Jungle Book? She'd probably enjoy those, I know I did when I was a little older than her.